The advent of digital traces and tools capable of mapping these traces is bringing about a profound renewal in the social sciences. Thanks to these tools' abilities to handle vast quantities of data without reducing their quality through aggregation, emerging digital methods promise to overcome the classic gap between qualitative and quantitative methods. For this promise to be fulfilled, however, three major misunderstandings about the nature of digital methods should be resolved: 1) a conception of digital traces by many social scientists that is both too narrow (in terms of their sources) and too ambitious (in terms of their representativeness); 2) an alternation between disregard and paranoia about the conditions of production of digital traces; 3) the tendency to confuse the digital and automatic. In this article the advantages and the misunderstandings of the methodological shift triggered by digital mapping will be discussed through the case study of international negotiations about climate change. Though these negotiations are crucially important for the future of our societies and though they are thoroughly transcribed and made available on the Web, traceability does not necessarily guarantee legibility. Despite the availability of data, following the dynamics of the climate debate remains a challenge. How to make sense of 20 years of negotiations (and thousands of lines of transcriptions) while remaining sensible to the single diplomatic moves that might have steered the negotiations? In this article, we discuss the efforts we deployed to 1) extract the dynamic network of actors and arguments mobilized in the negotiations convened under the United Nations Framework Convention on Climate Change (UNFCCC), and 2) provide a qualitative-quantitative map of the debate, capable of zooming-out on the major trends and coalitions over 20 years of negotiations and zooming-in on actor specific statements made during particular sessions of the UNFCCC Conference of Parties (COP). Although the terminology of big data has so far gained little traction in economics, the availability of unprecedentedly rich datasets and the need for new approaches – both epistemological and computational – to deal with them is an emerging issue for the discipline. Using interviews conducted with a cross-section of economists, this paper examines perspectives on ‘big data’ across the discipline, the new types of data being used by researchers on economic issues, and the range of responses to this opportunity amongst economists. First we offer an overview of the geographic, professional and disciplinary networks that govern how big data is accessed and used by economists. Next, we outline the areas in which it is being used, including the prediction and ‘nowcasting’ of economic trends; mapping and predicting influence in the context of marketing; and acting as a cheaper or more accurate substitute for existing types of data such as censuses or labour market data. 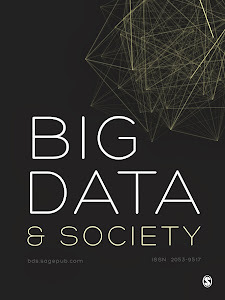 We then analyse the broader current and potential contributions of big data to economics, such as the ways in which econometric methodology is being used to shed light on questions beyond economics, how big data is improving or changing economic models, and the kinds of collaborations arising around big data between economists and other disciplines. The advent of Big Data is expected to have a big impact for organisations for which the production and analysis of information is core business. National Statistical Institutes (NSIs) are such organisations. They are responsible for official statistics, which are heavily used by policy makers and other key players in society. The way they take up big data will eventually influence all of society. This contribution describes the changing position of NSIs in the age of Big Data. Up to, say, 1980, data was a scarce commodity. Official statistical information based on survey data had a unique value: there simply was no alternative. In the last couple of decades, more and more public administrations have started to systematically collect data. Statistical data collection by means of questionnaires was supplemented and partially replaced by the use of administrative data sources. The information provided by NSIs remained unique. In particular the possibility to combine data from different sources made official statistics even more valuable, since in many countries no other organisation was positioned to do so. However, Big Data is going to change that as both individuals and businesses start to create huge amounts of data. Big Data sources create a number of opportunities for NSIs. There is a huge potential for new statistics. Location data for mobile phones could be used for almost instantaneous daytime population and tourism statistics. Social media messages could be used for several types of indicators, such as an early indicator of consumer confidence. Inflation figures could be derived from price information on the web. And so on. In addition, Big Data sources may be used to substitute or supplement more traditional data sources, such as questionnaires and administrative data sources, for already existing statistics. The use of Big Data for official statistics, however, poses a number of challenges to NSIs. An obvious one is handling unusually large data sets. This may induce new forms of cooperation with data providers, IT vendors and academia, and change training needs. Changes in methods may require different skills and a different mindset. Other issues concern privacy, confidentiality and data security, which have recently gained weight by the increased public awareness that intelligence agencies are among the most active Big Data users. Even more important for NSIs is the change of their position. Businesses have already started to produce information similar to what is traditionally provided by official statistical institutes, and they may become able to address new and existing statistical users’ needs. However, the institutional position of NSIs and their traditional values can still be a strength. NSIs are trusted parties that put a lot of effort into sound methodologies, quality control and privacy protection. By exploiting these values they can give an independent, professional judgement on the quality of information provided by other parties. Moreover, they have unique data collection opportunities including special access to administrative data sources. This could be extended to Big Data sources. The future of official statistics in the age of Big Data is still hazy, but it is clear that the international statistical community needs to adapt to the new reality and react to the opportunities and challenges it provides. More collaboration will be needed among players inside and outside that community. As this contribution will show, there are already many activities going on and many national and international initiatives have been launched. For official statistics, the Big Data era is a most exciting time.